Point Blanc is a multiple award winning hip hop/urban artiste and a veteran in the Malaysian music industry. With 15 years of experience and being part of immensely popular group Poetic Ammo, Point also proved to be a very successful solo artiste. His first solo album “Straight to the Point” was a trilingual (English, Cantonese and Bahasa Malaysia) top seller in most major retail outlets and had the biggest no 1 hit of 2007 “Ipohmali”. Winning the ERA awards 2007 for “Best English Song” and having high rotations of his songs on both radio and TV, Point became a household name and one of the top solo English & Chinese artiste in the country. Point also has a strong international following thanks to his collaborations with international superstars like MC Yan (LMF) and Jin the Emcee among others. 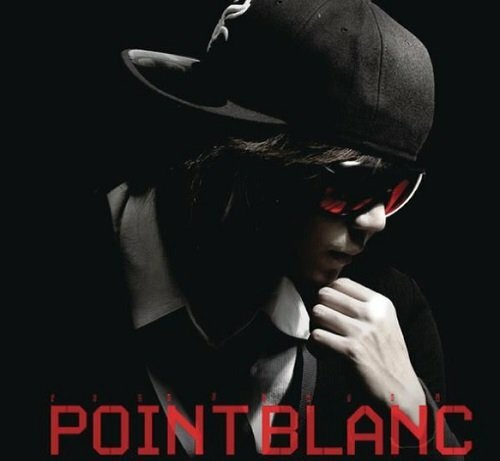 In 2010, Point Blanc released his much anticipated second full English album “ The Turning Point” which was nominated for the “Best English Album” and “Best Hip Hop Album” categories in AIM 17 (Malaysia’s own Grammy). The album’s hit single “Just a Miracle” also reached the number one spot on Hitz.FM’s MET 10 charts. With international performances as far as UK, Hong Kong and more plus regularly performing around the country, Point is a seasoned live performer and an upcoming producer/songwriter. He is also one of the best & most popular club emcees in the country. Bringing with him the experiences of a veteran recording artiste and live performer, he ignites clubs nationwide with his distinctive style of emceeing which merges live sing alongs and crowd interactions. He has weekly session nights in the hottest clubs in KL and has worked with various brand related events. These include:- Zouk, KL ( with DJ Goldfish & Goldsound), Blanc Le Club ( with DJ Ken Master K & The Kingspin), KENT Black & Red release parties & more. Do you have any female singer (local / With Malaysia PR) to sing in hotel contract.